Rosemary returned to Lutheran Counseling Network 9 years ago and has been in clinical practice since 1985. Her approach to counseling and the length of work together will depend on the particular needs and goals of the client. Rosemary brings her clinical experience and training in a variety of theoretical orientations, including psychodynamic, systems, and cognitive/behavioral. Rosemary believes that each person holds the key to their own healing process. She sees her role as providing a safe and accepting context in which individuals and couples can learn to hear their own wisdom, and to approach obstacles from their own sense of knowing what is best for them. Her work with each person is individually stylized to fit their needs, comfort, functional coping style, values and resources. Rosemary is an ordained United Church of Christ minister and has served many years as a hospital and hospice chaplain. 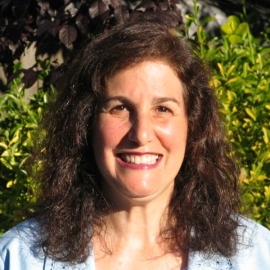 Rosemary is passionate about weaving together spirituality and psychotherapy. She is trained and certified to facilitate Peggy Huddleston's "Prepare for Surgery/Heal Faster" Workshops (see link to brochure below). She is also trained and certified to offer the "Prepare and Enrich" Program for a variety of couples who are interested in creating and sustaining strong and healthy relationships.